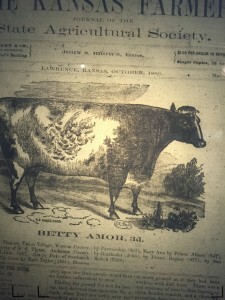 This entry was posted in HistoryMaking and tagged Mahaffie Stage Coach and Farmstead on July 31, 2015 by Katherine Miller. As I write this, we have finished our second day of the last session of the Wornall-Majors Summer camp. The theme of day two was Western Expansion and we talked to the kids about people in the 19th century traveling to the western United States. This was a great theme for the Alexander Majors House Museum as Majors’ history is so ingrained in this topic. We did activities that explained how people traveled and why. We also had presentations about how people lived in this period and how certain things were made. One of the favorites was the 19th century toy presentation, which offered the kids a chance to play with replicas of period toys. This was a great way to get them to understand what toys looked like and how much of toys in this period was easily made, but still fun. This allowed us to go into an activity about making your own toys if you had to move west and left your toys behind (If you were lucky enough to have these kinds of toys or a lot of toys.) We made corn husk dolls and dressed them in period clothing. Also as I write this, I have finished the first draft of my tour script. 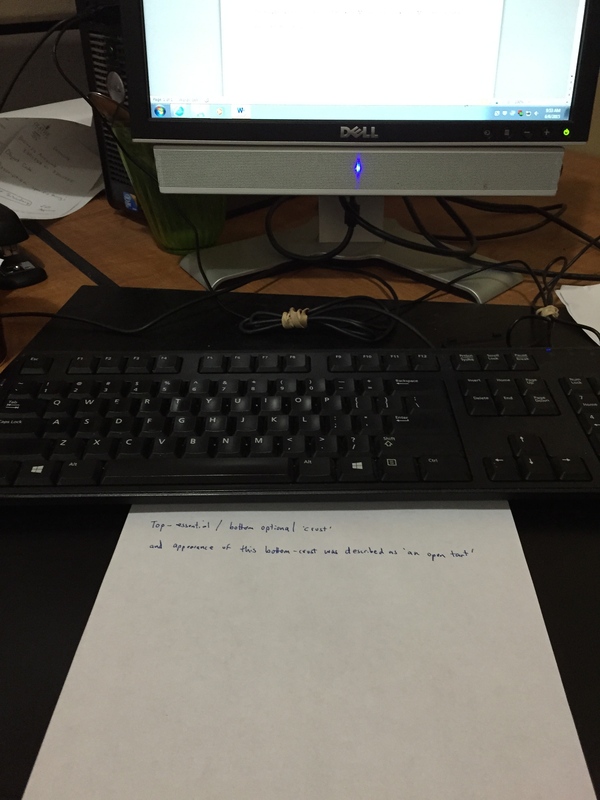 I wanted to talk a little about what I did with the content of the script in this post. The script for me was a challenge. I decided that I would create a master guide. A script that could be the go-to for a guide if they needed to know anything about the house. It was written in a narrative style to help guides talk about the information even if they could not include everything in the hour long (or half hour in some cases) tours. (Every tour is different.) I focused on two majors things: how the Majors lived in the house and how Majors could have the house built. This is to have multiple ideas without it seeming disjointed. The family history, Majors’ history and 19th century history is throughout the script to help form connections to the information without being repetitive. This means using the Majors and the enslaved African Americans as the focus to direct the content and tell a great story to engage the visitors. I still have a few days of camp and more edits to make on the script. What I have so far informs what I know of public history. I hope I am explaining history, which is complex and varied, to people and to children in a easy way, either quickly for tours or clearly for children. 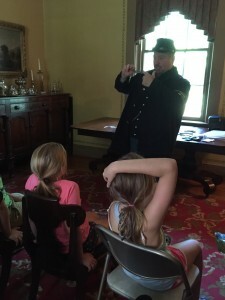 This entry was posted in HistoryMaking and tagged Summer Camps, Tour Scripts and Stories, Working with children in Museums, Wornall-Majors House on July 30, 2015 by Savannah Lore. 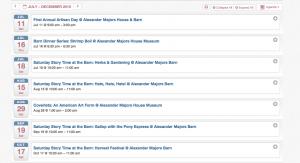 Every third Saturday, The Alexander Majors House Barn houses a little childhood fun. We have partnered with the Kansas City Public Library WestPort Branch, to give a free Saturday Story Time for children ages 3 to 8. I really love working this event because the children have a lot of fun with the story time and the activities that we do, but the parents/guardians are also interested in the house and history. We work to make sure that the activities on our end are fun, informative and deal with history. 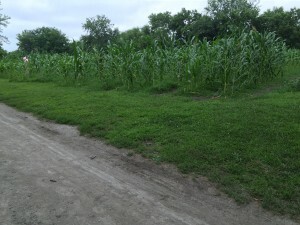 The last Story Time (July 18) was around the theme of gardening. We brought in herbs from the Wornall House’s herb garden, and I discussed with the kids what people would use them for in the 19th century. We even had some mythical uses or ideas of what the different herbs did. Did you know that basil was thought to prevent lightening strikes? The kids and even the parents liked these little fun facts. I tried to uses these myths to drawn the children attention so I could talk about the real uses for herbs and how they acted like medicines for different conditions or illnesses in this period. I have learned more about talking and interacting with many different groups of people at the same time. I also learned about working with different institutions. It was a lot of work to set up these events, and one family actually came back to take a tour of the house. So, I call that a successful program. This entry was posted in HistoryMaking and tagged community free events, Story Time, Wornall-Majors House on July 28, 2015 by Savannah Lore. Look at the photo to the right. What do you see? Well, I am figuring it out, every piece along the way has a story to tell, a memory, or something to offer. Embracing the task of asking, wondering, and especially dreaming of what was on the Mahaffie Stagecoach has brought clarity to my door. Spending enough quality amongst the memories, the goods, the treasures and the especially the people has only brought the good out of me and will help me further down the road to success. It is my hope I have succeeded in their eyes of what they have thought I had to offer. I can only bring these last and dwindling days to close and absorb all I have gained. This is what I am taking with me. This simple doorknob that I took great care in washing, cataloging and safely storing for the future tells this to be true. I can walk away and say I was successful at my internship and can come back to the Mahaffie Stagecoach with open arms and be greeted as a friend. This has been a great learning experience for me. I will only have a couple more posts to follow so I will try to think of some story or brilliant aspect to leave on. Till then. This entry was posted in HistoryMaking and tagged Mahaffie Stage Coach and Farmstead on July 27, 2015 by Katherine Miller. It was interesting to work with children and teach them about history. I think that this group of kids was actually interested in the activities and history, which made interpreting information to them much easier. I think that working with children can both be easy and a challenge. When they are excited, they have great questions and are learning some things for the first time. So, they do not usually try to challenge what you say. I think the challenge comes into play when they are not engaged or don’t care. We had two presenters today. The first was a confederate reenactor with a group called Elliott’s Scouts named Carl Listron. I think people assume a certain bias with people who reenact as a Confederate but Carl was very historically accurate and discussed the war how I think it should be, which is without bias and factual. 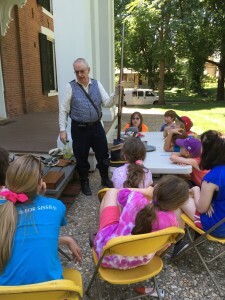 The second presenter was a Civil War medical reenactor who showed the kids period medical equipment and discussed what doctors did in the military during the war. The presenter talked about what doctors did not know (spreading disease through germs) and also what other skills a doctor would have. The picture shows he talking about how dentists (military did have dentist who had medical licenses to do other procedures) removed teeth with certain tools. I think the most important thing I learned today was about how kids respond to history and how to work with them in this setting. It was also a great experience to help lead a group of kids when a presentation was happening. I could help the kids direct their questions and help the presenter when things needed to be simplified or cleared up. 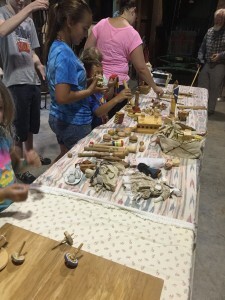 This entry was posted in HistoryMaking and tagged Presenters, Summer Camp, Working with children, Wornall-Majors House on July 23, 2015 by Savannah Lore. It’s all about the Chicken! For my final Reflection Paper, I wanted to contribute something more meaningful to the Mahaffie StageCoach Farmstead that could be used from my learning experience. From the time I arrived here it seemed as if the knowledge of butchering of a chicken had been very limited among the staff and volunteers so quickly learned this routine out of necessity. My knowledge and quick hands earned me the butchering spot when needed during the interpretive rotation. 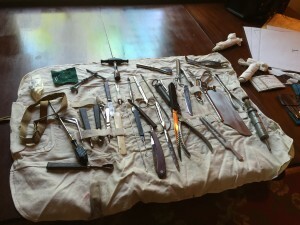 As my days were coming to the end at the farm, my supervisor Katie and myself came up with a great idea of forming a butchering guide for other staff members to access to that had historical / anatomical information, butchering step by step, along with drawings to be able to handle butchering on ones own. I really did not expect this when thinking of my reflection paper but it is one process gets talked about a lot and and the more educational information that is provided, maybe it would be easier for some of the other staff members. Within the guide, I have made sure that I have included several mindful topics such as the sensitivity issues that we are aware of, providing the staff with numerous educational structured outlets to aim conversations with guests to explain the reasoning behind the demonstrations such as adding depth and breadth to an interpretive program. I soon found myself in another room on Mahaffie grounds that I absolutely loved and couldn’t get enough of-the Archival Room. 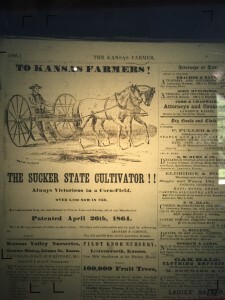 Researching on microfilm, In boxes of archival material of newspapers, letters, family letters, oral accounts but I was in search of historical Kansas farming with a narrowing of farming of poultry(any information related). I will be soon wrapping up this guide and turing it over to the Mahaffie staff of which I hope they will see I put much effort in seeking out this guide to be used by their staff members. 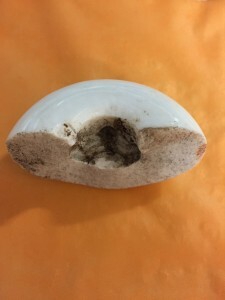 This entry was posted in HistoryMaking and tagged Chicken Butchering, Mahaffie Stage Coach and Farmstead on July 22, 2015 by Katherine Miller. A shorter tour is not always easier. This weekend was our first annual Artisan Fair and it was my job to give the half hour tours of the home. With the amount of people that stopped by, I was able to give a lot of shorten tours back to back and I learned a few things about how I give tours and about giving tours in general. Here is a list of some things I found important to understand about giving shorten tours. When you do a shorter tour, you just don’t cut things out of your script. I realized this when I was giving multiple tours. You need to change the way you give the tour because there is a different pace to how you are showing the home. You have you give the main points sooner and more often. In a longer tour, I have time to introduce ideas and build on them. A shorter tour demands that guide need to pick a clear theme or one idea and rework the tour so the facts support that. This gets the visitors an idea to grab on to in the short time that you have to work with them. Pay attention to the numbers. The more people on the tour, the more time it takes to move them through the house. This follows that idea of pacing but in a physically sense. With larger groups, it takes more time for people to move through rooms and to settle. This means leaving time to some silence for them to enter the room and look around. If you move too fast, some people do not have time to process your interpretation. There is more talking and less people listening when you rush them through the house. Read the crowd. I think this a skill that every tour guide learns to do. I could see this much more clearly when I had tours back to back. Different groups react to different things. Experienced tour guides can read a group and can see how to approach certain topics. A shorter tour gives you less time to know the group so you have to get a quicker read on the situation. This entry was posted in HistoryMaking and tagged Tour Interpretation, Tours, Wornall-Majors House on July 21, 2015 by Savannah Lore. Museums have to have diverse programming. It is how we stay relevant to to our communities and get visitors interested in our content. Since I have worked with Wornall-Majors House Museum, I see a lot of great diverse programs and events planned. From slavery in museums workshops to children’s morning story time to civil war reenactments, Wornall-Majors does a lot. I think this mixing of programs helps us get people in the door and even learn things about our content, even if that was not the main reason they come. I think that is the great thing about all different kinds of programming, you attract people who might not have an initial interest and you inspire one in them. 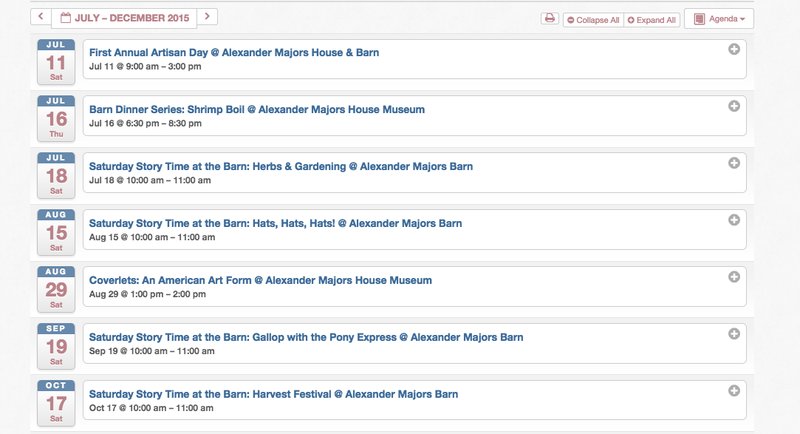 This is a screenshot of our upcoming calendar of events. There are many different things on this list that bring people to our house and get them interested in our museum. There are also things planned at our space that are not on this list. 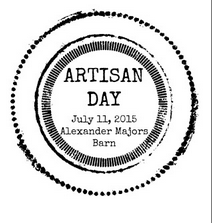 The Alexander Majors Barn is also a rental space for people to have events, such as weddings. It is always interesting to be working when a wedding is happening. It never interferes with my job of giving tours and so many more people show up just to see what all the activity is about. (The house is not a part of the rentable space, only the barn. And there is an attendant to help with rented events so I do not do that work.) There have also been paranormal investigations at both the Wornall and Majors homes which get people really excited. (If one does show up at Majors, I will definitely write a post about that experience.) I do not know how many times I have been ask about ghosts when on a tour so many people really like to talk about the previous investigations. And isn’t that our goal, inspire interest in our history and get them coming to us? This entry was posted in HistoryMaking and tagged Museum Programming, Wornall-Majors House on July 15, 2015 by Savannah Lore.